This is my 200th post here in my blog. So nothing will be better than sharing a sweet recipe. That too a heirloom recipe and healthy too. Yes., today’s share is paakkozhukkattai recipe. It is not paal kozhukkattai(milk kozhukkattai) , it is paagu kozhukkattai. This recipe doesn’t call for milk at all. This recipe requires rice jaggery and coocnut. 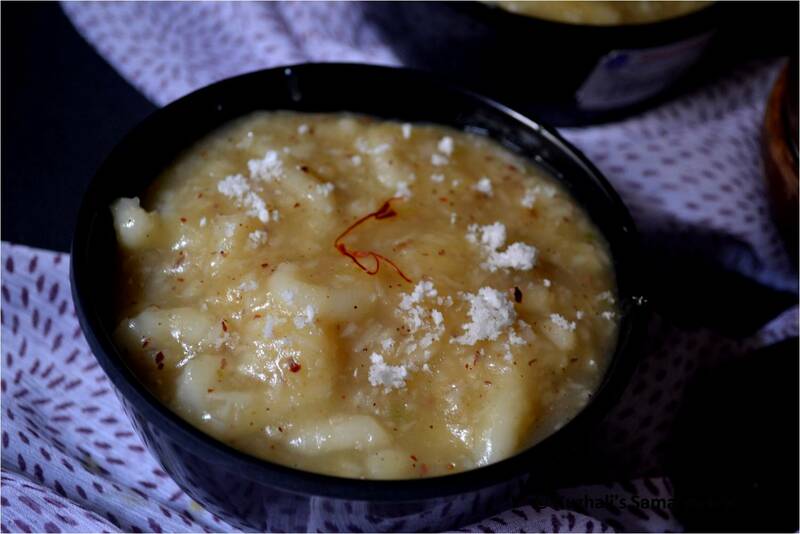 It is a traditional recipe which we prepare for evvening snacks and also can be prepared as neivehiyam too. Traditionally the kozhukkattai will be made as small cylindrical balls using hands, but it is really time consuming work while preparing in large batch. So nowadays we are using murukku kuzhal to prepare the kozhukkattai with out much effort and time. Actually in this post I have used my new gas stove too, which was in my long time wish list. So obviously the gas stove was inaugarated J by making a sweet dish which fortunately became my 200th post. This kozhukkatai can be served assemi solid form in a bowl with a spoon. After cooled down this koxhukkattai will becomes thick and solidified. So can be poured in a plate(greased with ghee) and then cut into pieces after cooled down. This kozhukkattai will be good even on the next day if refrigerated. Wash and soak the idly rice in water for minimum 5 hours. Then drain the water and grind the rice into smooth paste with little salt. Use as much as little water to grind the batter. If the batter is thin, keep the batter in refrigerator for ½ an hour or cover the batter in a clean dry white cloth for around 10 minutes. Once the batter reach the right consistency we can proceed on making the kozhukkattai. In a heavy bottomed sauce pan take water(approx ¾ liter) and allow it to boil. Once the water starts roll boiling, take the rice batter in a murukku kuzhal with star or round plate. Press the top part and make kozhukkattais direclty in the boiling water. Dont over crowd the water. Make first batch of the kozhukkattais and allow it to cook. Once the kozhukkatai is cooked it will float on the top. Break the kozhukkattai with a ladle into pieces. Then make the second batch kozhukkattais in the same pan and let it cook. Like wise make kozhukkattai in batches till the whole batter is finished. 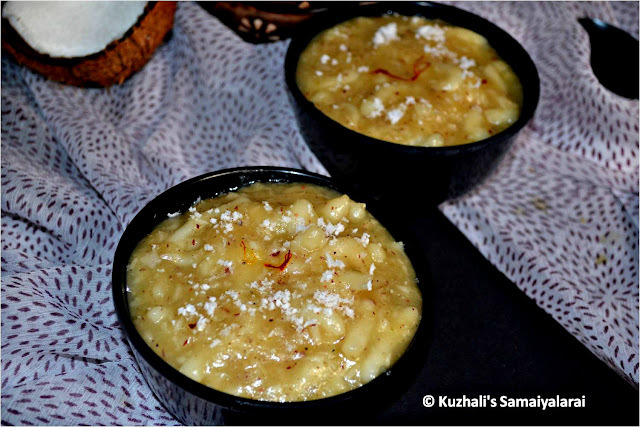 This is one easy method of making kozhukkattais. Another traditional method is making small cylindrical balls as shown in the picture. Finish the whole batter by making small kozhukkattais with a gooseberry sized dough. Then as said above add the prepared kozhukkattais in batches in to the boiling water. You can follow any one of the above two methods. 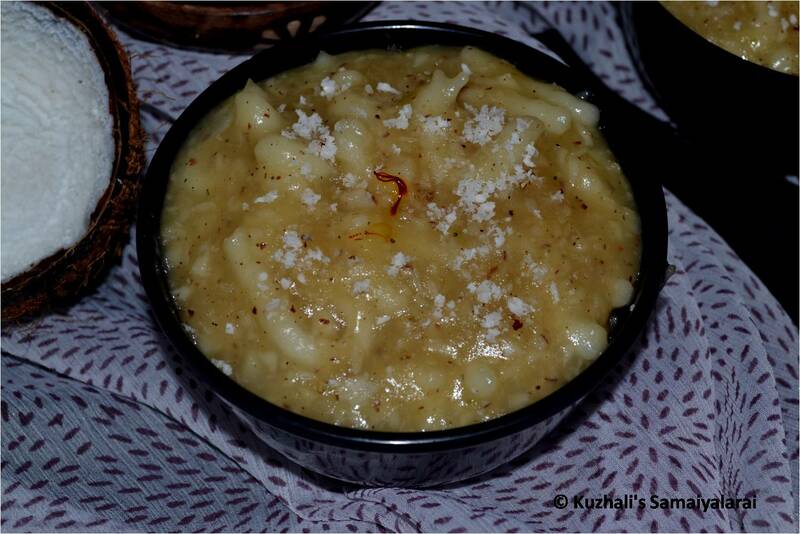 Once the kozhukkattais got cooked well, add the powdered jaggery and coconut. Allow it to boil for few minutes till the jaggery got dissolved and everything comes together. If you feel the water is more, while adding jaggery, you can remove the excess water and then add the jaggery. Once the boiling mixture gets thickened, add the cardamom powder and dry ginger powder and mix well. Serve as it is in a bowl, or cut into pieces after cooled down as per your wish. While ginding the batter don’t add more water. Add little by little till it becomes very smooth paste. You can make the batter thick by keeping it in refrigerater or pour in a white dry cloth and cover it with a cloth. The batter will become thick and reach right consistency. If you make kozhukkattais in traditional way,tha batter should be little more thick than the one for the murukku press method. Don’t cook the kozhukkattai for long time, if it is over cooked then the kozhukkattais will become rubbery. Also if you make the batter too dry than also the kozhukkattais will become rubbery. Instead of adding grated coconut, you can add coconut milk too. Adding ghee gives nice flavor to the kozhukkattai. Pour the kozhukkattai in a greased plate and cut into pieces after cooled down. Always add the kozhukkattai in boiling water, if the water is cold/warm, kozhukkattai will dissolve in batter. Once the water starts roll boiling, take the rice batter in a murukku kuzhal with star or round plate. Press the top part and make kozhukkattais direclty in the boiling water. Finally add ghee and mix well. Yummy pakkozhukkattai is ready.